A rose brass bell for an especially dark tone. This Farkas Wrap horn offers a large throat bronze bell with solid brass bow and branches. In addition, the Holton Farkas horns all feature an independent tuning slide for the Bb side of the instrument for convenience. 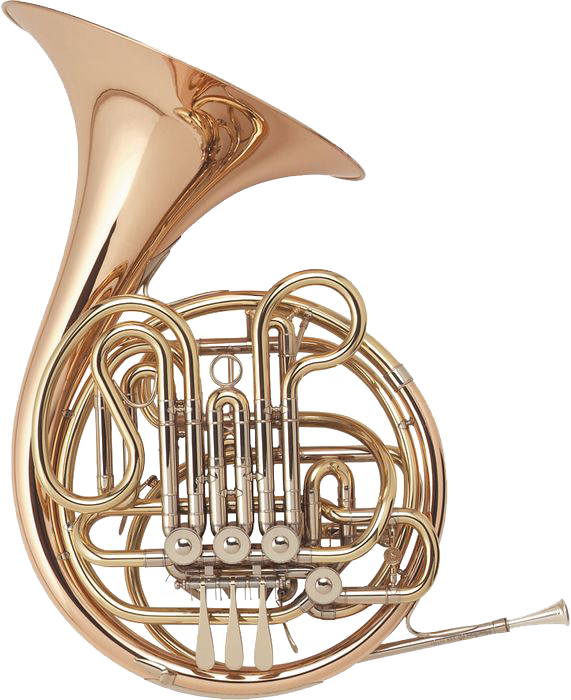 Holton horns also feature tapered rotors which create longevity for the instrument. Like all Farkas horns, the H181 is capable of eloquent espression over wide dynamic range. It can be played loud without a brassy edge, and softly with full tone. The rose brass bell gives it a darker tone than other Farkas horns. Model H181 features a bronze bell that produces a darker sound. Capable of a wide range of dynamics,it can be played loud without a brassy edge to the sound. 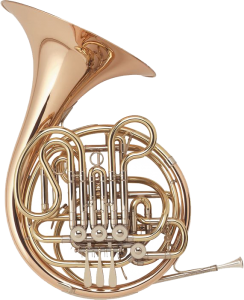 Key of F/Bb double; .468″ bore; 12-1/4″ large-throated, hand-hammered, red brass bell; .310 venturi of nickel silver; tapered, hand-lapped brass rotors; solid brass branches and bows with nickel silver ferrules; solid nickel silver slides inside and out. Material Solid brass branches and bows with nickel silver ferrules. Solid nickel silver slides inside and out. Bell 12.25" diameter large-throated hammered bronze. Red brass bell. Waterkey On the mouthpipe for quick water removal.